Even for the seasoned exporter, Pakistan is not the easiest proposition due to the procedures that need to be followed, but with the right preparation and the assistance of UK Trade & Investment (UKTI) teams throughout UK and in Pakistan, both those experienced in overseas trade and those who are not, can successfully do business in Pakistan. You may be an exporter looking to sell directly to Pakistani customers or through an agent or distributor in the market. Alternatively, you may be planning to set up a representative office, joint venture or other form of permanent presence in Pakistan. Pakistan’s total area is 796,095sq km, (source: Government of Pakistan) of which 3% is water. It is bordered by Iran in the South West, Afghanistan to the West and North, China to the North-East and India to the East. Its main geographical features are mountain peaks in the North, including K2; the second highest mountain in the world. There are two sea port cities: Karachi (with two ports – one in Karachi itself, the other at Port Qasim south of the city) in Sindh and Gwadar in Baluchistan. The Central-East part of the country is comprised of the flat, fertile plains of the Indus Valley, which provide the bulk of agricultural produce of the country. To the West, dry rugged mountains dominate the landscape and the South-West is composed of mainly inhospitable plateaux. Barren deserts form much of the South-East and vast plains cover almost a third of the total land area. 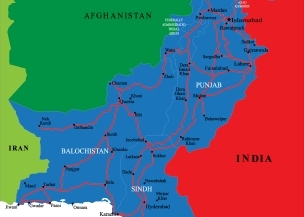 Administratively the country is divided into four Provinces, namely Khyber Pakhtoonkhwa, Punjab, Sindh and Balochistan. As their name suggests the Federally Administered Tribal Areas have different governance arrangements. Punjab has a population of 100 million and contribution of approximately 60% towards the country’s GDP through its agriculture and textile industry. Lahore is its largest city and the hub of all activity. Karachi, in Sindh, is the business and financial capital; it is home to the majority of the multi-national and local corporations. Quetta is the largest city of Baluchistan with oil, gas and mining as its most important sectors. Peshawar is the main city and hub of all activity in Khyber Pakhtoonkhwa (KPK). KPK is known for its dry fruits, forestry and tourism. What does this guide aim to do? This guide aims to provide a route map of the way ahead, together with signposts to other sources of help. It identifies the main issues associated with initial research, market entry, risk management and cultural and language issues. It also includes questions you should ask at the beginning of your research into Pakistan. We do not pretend to provide all the answers in this guide. It does not cover detailed descriptions of the regions of Pakistan, nor of detailed sectoral opportunities. 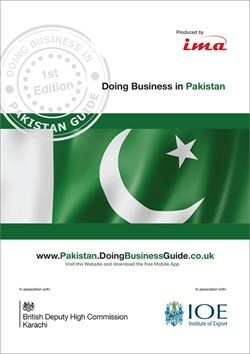 Neither does it cover all the legal, taxation or accounting aspects of setting up a permanent presence in Pakistan – but it will point you in the direction of the people, organisations and publications that will be able to answer these and other more-detailed questions. The objective of this guide is to steer companies through the initial research and preparation stages of entering the Pakistan market. It is far better to spend time and money carrying out thorough research and preparation before entering the market than to enter Pakistan in a rush, only to discover, when it is too late, that you have made a poor and expensive decision! UKTI is there to help you through this process. This guide is not designed to be read from cover to cover, but more as a useful reference to dip in and out of. It should be used in conjunction with the UKTI pages on the gov.uk website: www.gov.uk/government/organisations/uk-trade-investment and its other services. 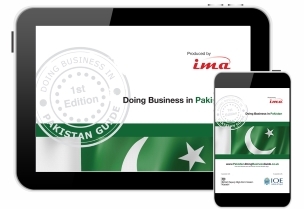 The guide will take you through the process of doing business in Pakistan, while the website will provide you with regularly updated market and sector information, business opportunities and details of further contacts. UKTI is the UK Government department that can help you achieve your international business potential. 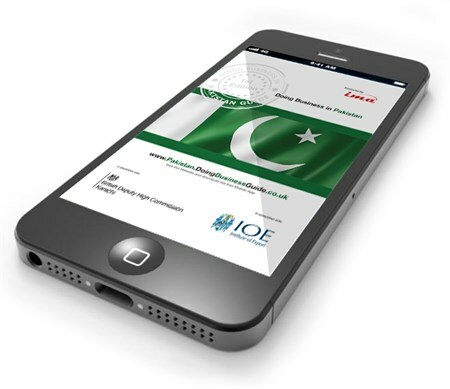 They combine the national resources of the Department for Business, Innovation and Skills (BIS) and the Foreign & Commonwealth Office’s (FCO) global network of Trade Development Staff in British Embassies, Consulates and High Commissions, to help companies of all sizes do business in Pakistan through a network of international trade teams based in the nine English regions and the devolved administrations in Northern Ireland, Scotland and Wales. 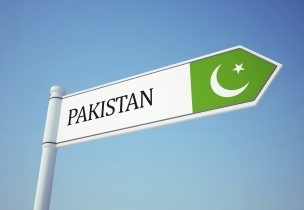 In Pakistan is a dedicated trade and investment team, based in Lahore, Islamabad and Karachi. Full contact details are available at the end of this guide. UKTI treat every business as an individual, providing a tailored service with specialist support covering a wide range of industries. UKTI services can make a real difference to your business at a very reasonable price – see the contact details at the end of this guide for more information. Doing Business in Pakistan Guide Market Experts - Please click on the logos below to view our Market Expert profiles and to find out how they can help you to succeed in Pakistan!